This is the first of our “Inside Scoop” articles, where we speak to some of the key players within the Caravan Industry and pass on all the juicy news and gossip straight to you. 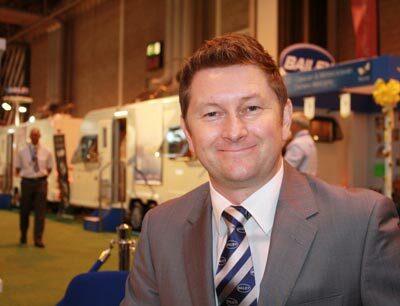 In this edition we caught up with Bailey Caravan’s Marketing Director Simon Howard for a chat about their current range of caravans; including some inside info on what have been the popular models this year and what you can expect from Bailey in the years ahead. What’s the most exciting news from Bailey for 2012? Probably the big news for us is the launch of our first motorhome range. We’ve been making caravans successfully for 60 years and we’ve grown to be the UK’s number one caravan brand and what we’re doing now is looking to branch out into the motorhome market. So I’d say that’s the big news. 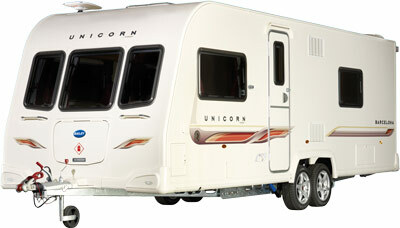 Also, in our Touring caravan range, we now have alu-tech construction across all models, so we’ve got a strong proposition in all areas of the market, starting at the top with Unicorn and then working down to Orion at a sort of entry level – so that we have a caravan that covers every budget and every size of towing vehicle. When designing your new Bailey motorhome have you found that the needs of a motorhomer are different to that of a caravanner? But yes you do have to take in the different needs of particular customers, and in that respect we have done a lot of motorhoming ourselves, the design team went out in the summer and they did about 5,000 miles between them in the prototypes to get a feel for how to use a motorhome – we’re all seasoned caravanners, we’ve been doing that for a long time. Do you consider other running costs, such as fuel economy and the cost to insure, when producing a new model? You’ve got to these days. Now when people look at cars, “fuel economy” is no-longer a dirty word. I mean 5 years ago no one would buy a car if it said “good fuel economy”, now they’re worried about emissions, fuel economy, and obviously you’ve got to make caravans to suit those cars so they need to be lighter, more aerodynamic. But you’re right, also insurance is all part of the ownership, and keeping those ownership costs down, so if you put in features such as Trackers, or Wheel Locks, or any other security devices, that’s good news for the customer when it comes to renewing his insurance and getting reductions in the price. More families seem to be getting into caravanning. Has this affected the way Bailey design their ‘vans? 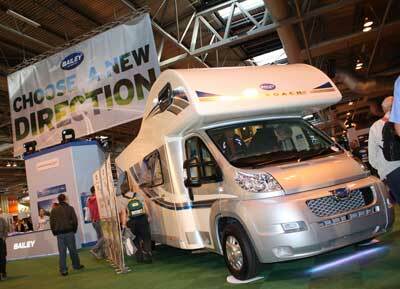 Yes certainly we have looked to make more family vans in the caravan ranges this year. There’s a good mixture, I’d say two thirds of our business would be to couples and one third to families at the moment. So ‘the couples’ are probably still the most important part of the market but ‘the families’ is growing, and obviously they are the life blood for the future, so you’ve obviously got to have an offering in terms of having new vans that families can use, and can afford, and can tow with a standard family saloon. 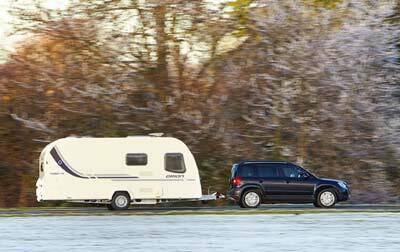 But bear in mind also a lot of families will buy a pre-owned vehicle to try caravanning for the first time, and again our retailers will have good stocks of pre-owned vehicles for them to try. So that’s typically a common route in for families, but you do have to have a new option for those who want to start at the top with a brand new ‘van. 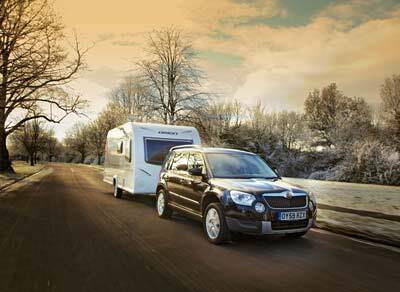 What have been your most popular caravans this year? We’ve got a pretty even spread now across the range, I mean last year it was all about the Unicorn at the top end of the range, this year we’ve got a much better balance between the range. Certainly the entry level Orion has been very popular for us; it’s a very small, compact, light weight caravan. It’s slightly quirky and quite retro with its curved shape. That’s proved surprisingly popular. There is some evidence it’s because people are downsizing in terms of getting smaller cars and also getting lighter, more affordable caravans – so that’s probably been the surprise package of the year. A big thank you to Simon Howard for taking some time to speak to us at the recent NEC Show.